Michael Bloomberg has bigger plans for 2020 than running for president – he intends to fund a political operation to defeat President Donald Trump, The Atlantic reported. The businessman and former New York City mayor – said to be worth $40 billion – has acknowledged he is considering a White House bid in 2020 though he has not officially declared. But according to The Atlantic, the fallback plan either way is to pour hundreds of millions of dollars into a data-centric political operation designed to stop Trump’s re-election. “The goal, as it’s been put at points in private meetings: ‘All the data,'” The Atlantic’s Edward-Isaac Dovere wrote. The Atlantic reported the team aims to collect data about voters on an “unprecedented scale,” match those data with consumer data, and then hire a team of engineers to analyze and look for new ways to identify potential voters, and new ways to appeal to them. They want to match voter data to consumer information and social-media profiles, and look for new ways to break through, the outlet reported. 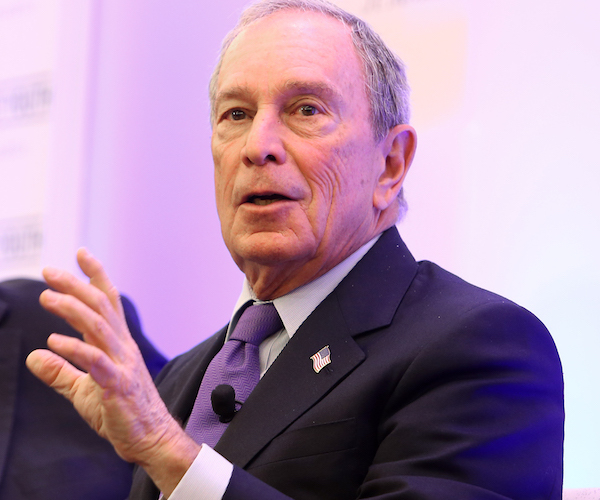 The model has a track record: Bloomberg spent more than $100 million to become the single biggest Democratic donor in the 2018 mideterms, winning in 21 of the 24 races where his Independence USA PAC got directly involved. A Bloomberg spokesman, Jason Schechter, declined to comment. Maybe Mueller can finally investigate COLLUSION about an election!